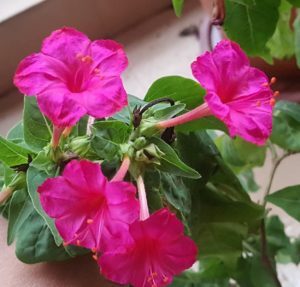 Four o’clock flower or Gulbakshi (Marathi name) or Mirabilis Jalapa (Botanical name) is the most commonly grown plant. It is supposedly a native of Peru, but is commonly found in India. The flowers bloom late afternoon/early evening. Hence, they are known as 4 o’clock. They stay open till the next morning. 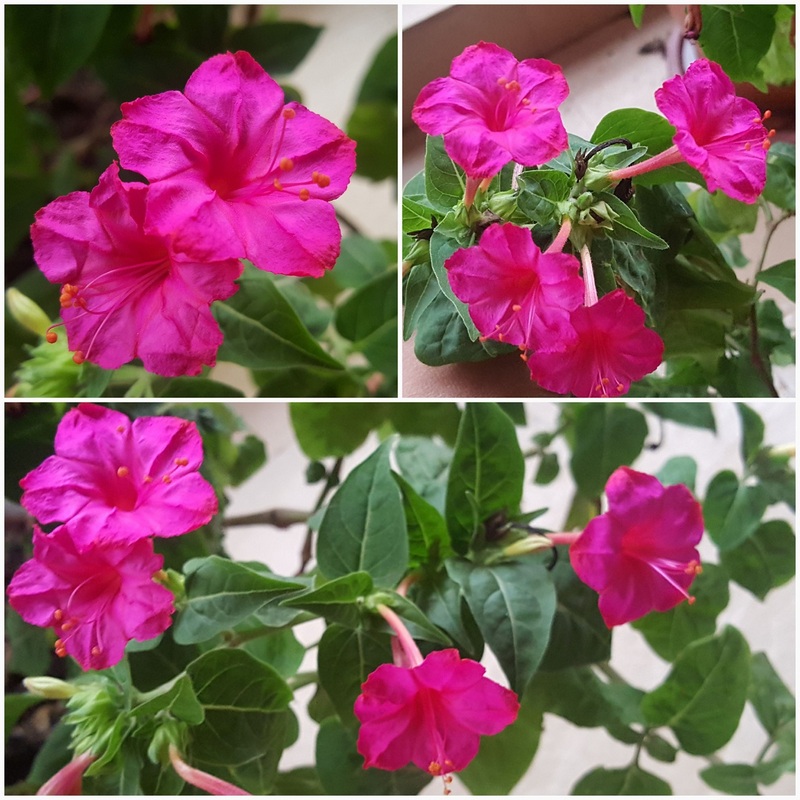 The flowers are tubular shaped and the flowers grow in many colours such as white, pink, yellow, magenta etc. Flowers with two colours are also seen i.e. some shades of red on yellow flowers or red shades on white flowers. The flowers produce a sweet fragrance. These plants can be easily grown from seeds. Sow the seeds ( 2 seeds in a pot with 3 to 4 inch diameter ) directly into a pot with good potting soil. Cover the seeds lightly with soil and press gently. Water the soil to keep it moist until the seeds germinate. Once the seeds germinate, they grow in no time. It is a low maintenance plant. The plants grow 2 to 3 feet in height. 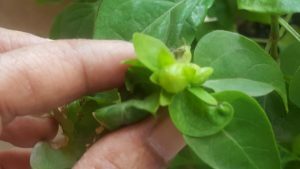 The single seeded fruits on the plant is spherical and wrinkled. It is green in the beginning and becomes black when it matures. The black seeds from the plant can be collected and sown again. 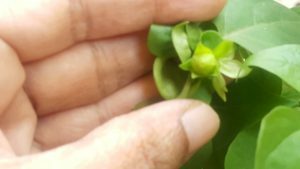 If the seeds are not removed, they generally fall into the pot and you can expect new 4 o’clock plants to grow in the pot. These plants flourish in full sun. They even thrive in areas receiving partial sunlight. 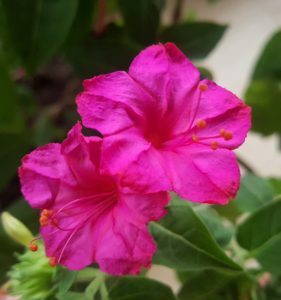 So, go ahead and grow four o’clocks and increase the beauty of your garden.